By Amy Haddad, Ph.D., R.N. at what they are doing. at the other end of the parking lot. tugs a strap to secure her limp son. drops the metal walker in the trunk. and heft the weight of each other’s burden. slide the door to, and drive away. My poetry often has its roots in the commonplace. “At Rehab” opens with an everyday activity – getting in and out of a car. We have all done this more times than we could count. We may also have considerable experience, especially if we are health care professionals, with helping others get into and out of cars. The title of the poem directs the reader to a particular setting with its accompanying expectations. There is even an insider’s tone in the use of “rehab” instead of “rehabilitation.” Only those in the know are allowed to abbreviate complicated words like this. However, the poem doesn’t take us into the rehab setting itself. We are left standing outside in the parking lot. Why? Poetry uses images and metaphors to draw us in with an economy of words. Each word in a poem is important. How the poem fills the space on the page is important. Listening to a poem rather than reading it offers a different experience of the patterns and music of the words in this particular combination. One place to start in reading a poem is to ask, “What is going on here?” My intention was to focus on the people in the parking lot who have been transformed by illness and injury without saying anything like that. What seem to be ordinary actions are anything but. The almost unconscious movements, the handling of loved ones and equipment with even-handed detachment, are moved to the foreground. The details about the people and the emotions they experience are held in check. Although l wrote the poem to speak to readers in these ways, they may not see it as I intend. Each person who reads the poem will see something different. A close reading of a poem can lead us to a place that causes us to stop because we recognize where we are. Poetry asks as to pay attention, to look at life in a new way, to discover what is right in front of us that we cannot see. What we health care professionals do not know about the lives, hopes, and fears of our patients and their families is enormous. Poetry is a way to open the door to what is hidden or unknown about others and us. Reading and engaging with poetry can enhance our capacity to empathize with those we care for and cause us to listen more carefully to the stories they tell us about their lives. Director, Center for Health Policy and Ethics Dr. C.C. 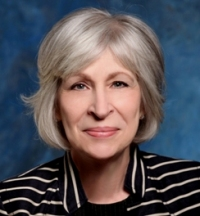 and Mabel L. Criss Endowed Chair in Health Sciences PhD, 1988, University of Nebraska-Lincoln MSN, 1979, University of Nebraska Medical Center BSN, 1975, Creighton University. Amy Haddad, RN, PhD, teaches ethics at Creighton University where she is Director of the Center for Health Policy and Ethics. Her poems have appeared in the following journals: Ars Medicus, American Journal of Nursing, the Bellevue Literary Review, Janus Head, Journal of General Internal Medicine, Journal of Medical Humanities and Touch. She also has published poems in the following anthologies and books: Health Humanities Reader, Intensive Care, Between the Heartbeats, and Stories of Illness and Healing: Women Write Their Bodies.